Most people tend to associate screen recording with creating instructional video guides and tutorials – and while that is one of its most popular uses, it is far from the only one. In fact there are many useful ways in which you can use screen recorders, and they make for some very compelling reasons why you should have one of your own. Video calling has become fairly popular nowadays with platforms such as Skype, Google Hangouts, and so on. In most cases these platforms don’t have any way for you to save the calls that you make however, but with a screen recorder you can simply record it yourself. Sometimes it can be helpful to be able to record video footage of games or other apps – whether it is to create video content, bug reports, or share information with others. Being able to record your screen will expand your range of options on this front. Most of the video content you run into online is likely to consist of online streaming videos, and while they can be convenient to watch they almost always do not have an option to ‘save’ or ‘download’ the video to watch offline. That is something that screen recording can address, as it will allow you to record the video directly from your screen and save it to your hard drive. Already you should be starting to see just how useful having a screen recorder up your sleeve can be. In fact if you’re looking for one that is easy-to-use and will let you record footage from your screen without any hassle, you should make it a point to use Movavi Screen Recorder. Unlike other screen recorders, Movavi Screen Recorder is designed to be simple and intuitive – and requires little or no experience to use. 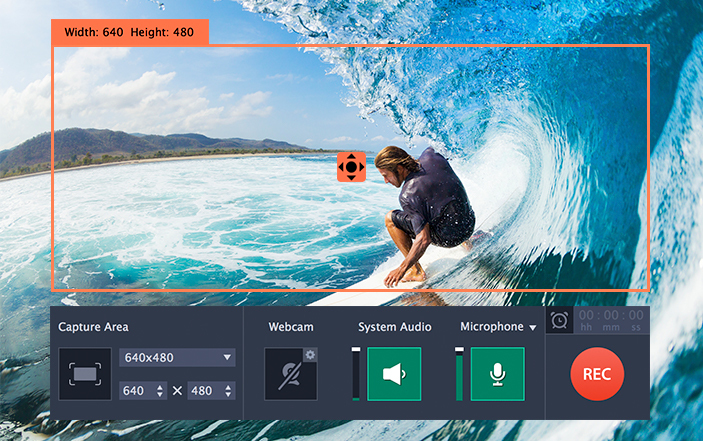 At the same time its features will let you fully adjust all the recording parameters so you can define the capture area, set the audio sources, adjust the volume levels, configure the frame rate, capture keyboard and mouse actions, and much more. The fact that Movavi Screen Recorder is so versatile will allow you to use it in a variety of different ways – including the ones highlighted above. All it will take on your part is a minute or two to set it up, and you should be all set and ready to start recording precisely the video footage that you require. In case you’d like an alternative to the Movavi, the folks at Digital Software Products have recently published a comprehensive article on Apowersoft – Screen Recorder Pro.